Downtown Neches. Notice the sign of "J.B. McDonald & Son"
J. J. Davis and Murdock McDonald, local landowners, donated the land for a townsite and depot when the International-Great Northern Railroad arrived in 1872. A post office was opened about the same time - listed on the post office department rolls as "Nechesville." 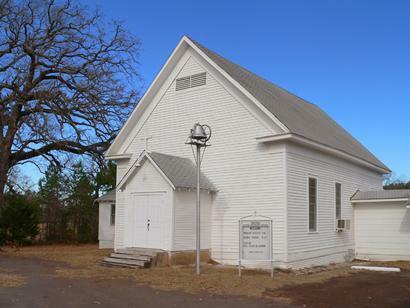 Neches had a population of 100 by 1884 with a school and all essential businesses (including two steam sawmills and a Masonic lodge). 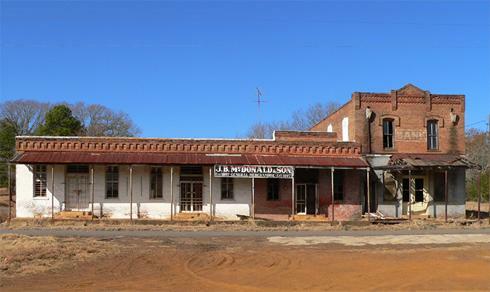 Just after the Civil War, the nearby Stovall Academy moved into town and was renamed the Neches Normal Institute. This later became Neches High School. By 1890 Neches had an estimated population of 400 people. The town officially changed its name from Nechesville to Neches in 1892. 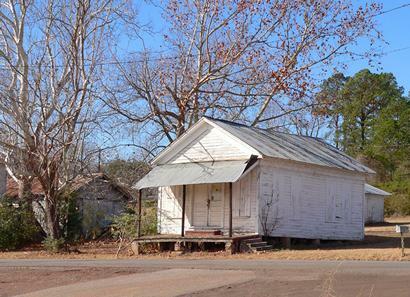 Neches had a population of 261 in 1900, reaching 400 in the 1920s and 1930s. By 1939 it had reached its zenith at 900 townspeople (estimate). Increased mobility after WWII took a toll on the population. By 1949 it was down to just 280 and it has declined further to a mere 111 in 1970. 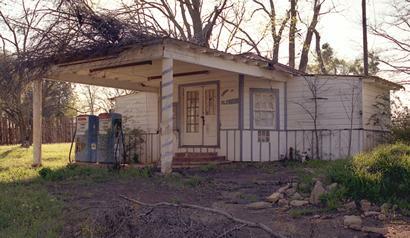 A former gas station in Neches. 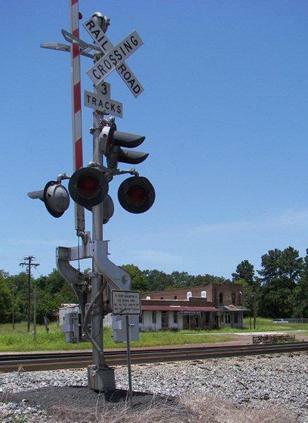 Main street Neches seen from the other side of the tracks. 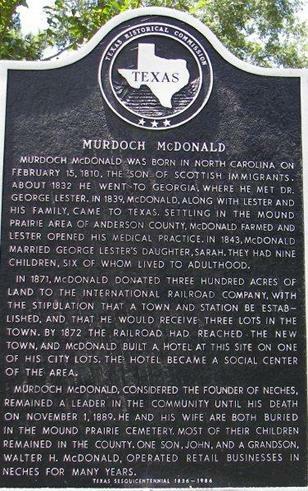 Historical marker for Murdoch McDonald, the founder of Neches.